You want to know the new mood mind boosting supplement very well before you commit to it, right? You want to know how effective it really is and whether it can give you the upper edge when it comes to mind power and moods, isn’t it? Well, my Onnit new mood review here will give you the most important bits of it like the ingredients, how long it takes to start feeling the effects, right dosage, side effects, the best place to get a good price for it, personal reviews from people who have used it before and my final thought on it. I am confident that this review is going to serve your purpose the best. If in any case you want to know about other aspects of the product, or want some few things clarified about it, you can leave your comment below and I’ll get back to you soonest. Okay? 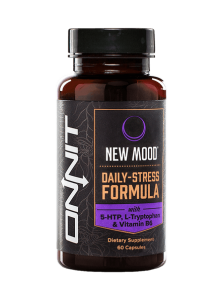 Is New Mood From Onnit Really Worth it? These are some of the most popular natural ingredients that are known in the industry to help with moods and improving cognitive function and if you have been on any other similar supplements, I am sure you can relate. I will also be having a deep look into these ingredients and their uses later on (in the “How the Ingredients Help” section) so be sure to read to the end to know why these ingredients were used and how they help. It takes about an hour to start feeling it. You will start feeling sleepy, often earlier than you do. And when you fall asleep, you will definitely sleep more than you usually do. Pretty much like a baby. It will also give you the ability to work faster and more effectively. It sorts of gets you in a work flow where everything run smooths for hours. You are going to love this experience. It will also improve your mood and have you cheerful for hours that you won’t even remember you had taken it to be joyful. Also, the joy is so natural, you won’t force it. And it comes from within. I always take a look at how people who have bought a supplement have responded about it and the feedback I got for new mood is great. It has gotten many good ratings in all the places I checked so it really is working and is reliable as well. I was also concerned with the few poor ratings, most of which I found to be from people who took it while they were on other medications while others overdosed. That is why I recommend you first consult with your doctor if you have any health issues so that you are sure that you are fit enough to have it. Companies are very strict on this, and Onnit is too. You are advised to take at least 2 capsules per day with some light food or on an empty stomach, preferably the latter. And the best time to have them is in the evening just before you go to bed. This means if you choose the 30 counts package, it should last for 15 days, the 60 counts for 30 days and for the 90 count, 45. If you are weighed down by stress and depression, you can take 2 pills during the day. 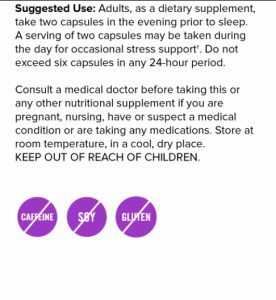 But you should be careful not to take up to or more than 6 capsules because you may just be putting your health in great risk. Well, here we get to the ingredients and their uses. * Magnesium – To start with, we have magnesium, which has extensively been used for enhancing brain and heart health. It is also mineral that is oftenly used to fight stress, depression and restlessness. * 5-HTP – 5-HTP is an amino acid that is best for influencing serotonin levels which in turn help take your body back to its natural levels and hike your moods too. * L-tryptophan – Tryptophan is an amino acid that is needed to build the 5-HTP. It also converts to melatonin which gets you sleepy and ultimately deep asleep. * Vitamin B3 and B6 – Then we have Vitamins B6 and B3 which are actively involved in many body reactions with the main aim here being to help in manufacturing the neurotransmitters and amino acids, and allow blood vessels to accommodate more blood flow which greatly help in detoxification. * Lemon balm leaf extract – This is another ingredient that helps reduce weariness and take you from being moody to cheerful. * Chamomile flower extract – This one has often been praised for its relaxing properties that bring a deep calming effect. * Jujube seed extracts – Tracing their origin from China, these are seeds and flowers that have been widely used to reduce restlessness. * Valerian root extract – This one helps with increasing GABA levels in the body that in turn help with relaxation. Valerian root has a reputation for bringing good sleep and lowering the regular anxiety attacks. I see people asking if taking Alpha Brain and new mood together would be great. Well, I wouldn’t advise you have them both, at least not everyday. But your doctor may tell you otherwise going by your health status. Although, if you wanted to test out the effects of each, I believe you can try taking one and then the other the following day. and then from there, you can formulate your own strategy based on your health status. So far, there have been no side effects noted in the users. But to be on the safe side, I would urge you to check in with your doctor before swallowing the first pill. You never know what reactions your body may have, and you definitely don’t want to be the first to report its side effects. Also, women who are pregnant are nursing mothers are highly advised to seek expert medical help before considering it for better sleep. If you are on other medications, it would be good if you also consulted with your doctor on the possible effects it may have on your body. The bottom line is, confirm first that it is good for you before you use it. 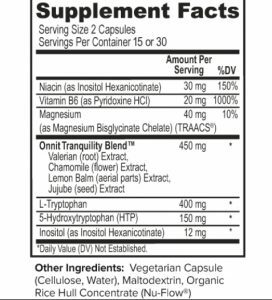 The place I recommend you get Onnit new mood supplement is From www.amazon.com. It comes in handy when you were planning to do other online purchases for your home or office products since you can order them all at once. Want to see what a person who has bought New Mood has to say about it? watch the video below. Personally, I would say it is worth it. The ingredients used and the way people who have been on it for a good while now are giving really positive feedback on it is something that shows the supplement is actually delivering. So I do recommend you give it a try. If you have any questions about Onnit new mood or any other brain related supplements, always feel free to ask in the comments. I will be more than happy to help you out.